Seeing as how we live in "sunny" South Florida (that's in quotes, because it most definitely downpoured for a good five hours in a row this afternoon), proper skin care is a big deal. After all, we spend a big chunk of our time in the company of the brutally bright sun. As the temperatures continue to get warmer, I thought I'd share my favorite products for keeping Ethan's skin soft, safe and healthy. 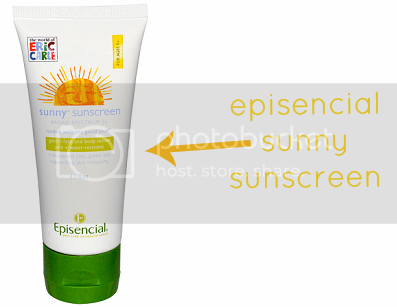 Episencial's Sunny Sunscreen is my absolute favorite. This SPF 35 sunscreen is gentle, non-greasy and gentle on sensitive skin (it's safe for all ages!). It's long lasting, not having to be reapplied for 80 minutes, and is made up of soothing organic green tea and zinc. 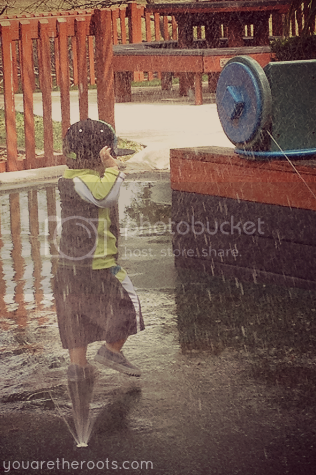 It's fragrance free and moisturizes Ethan's skin while protecting it from the harsh sun! Episencial's Cheeky Salve is a must immediately following sun exposure. I carry this in our pool/beach/park bag and slather it onto Ethan's face, lips (it's edible! ), ears, arms and legs when he's finished playing in the sun. It's made up of raspberry butter, organic sunflower and probiotics to keep skin healthy. 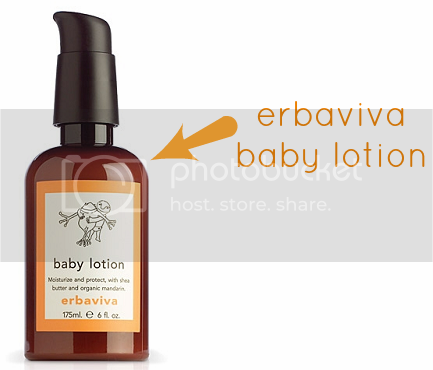 The only lotion we've ever used on Ethan -- Erbaviva's Baby Lotion -- is a must. It's lightweight and non-greasy, but does an amazing job at keeping Ethan's skin moisturized. We aren't fans of artificial fragrances, and I love the subtle scent of this lotion's organic mandarin and chamomile essential oils. We apply this lotion to Ethan immediately following his baths, and diligently in the hot summer months. Chances are, Ethan's going to be sporting his beloved Shaun White hat in most outdoor pictures you'll see of him these days. After months of trying to convince him to keep on all of the cute hats we've picked out for him (are hats on little boys not the cutest thing ever? 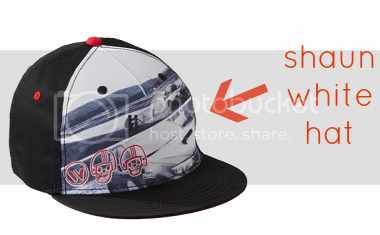 ), he picked out a Shaun White hat on his own one morning at Target. 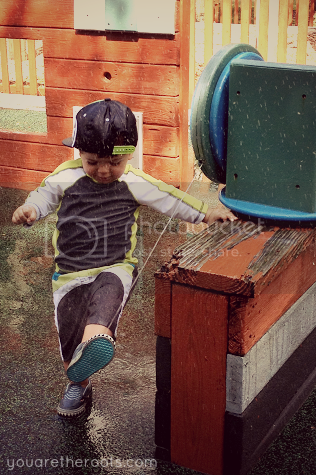 Since then, he refuses to leave the house without his hat. I guess all it takes is finding the right one! I've worked hard on teaching Ethan that we always wear a hat when outdoors in the sun and he definitely knows the drill by now. He points out if it's "nunny" (sunny) and if so, he runs to get his beloved Shaun White hat (which lives in the car these days just so we don't forget it). 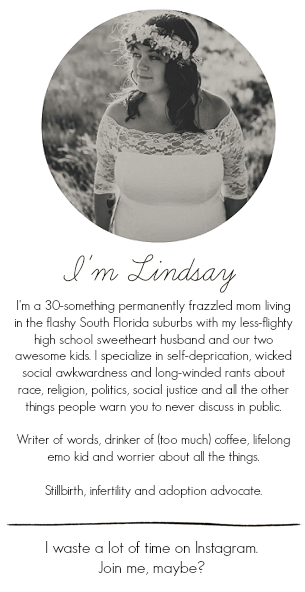 Great post Linds...protecting the littles skin is so important. Thanks for sharing your products. I love Ethan's hat too! I try to keep one on my boy. But he usually throws it off or insists on wearing two! It gets HOT here in our little place on Earth as well! I will have to check out this line of products, thanks for sharing! Thanks for the recommendations! Always looking for stuff to protect us from the hot Texas sun! love those recommendations! do you know where you can get that brand? or is online a best bet? I order online (Amazon) because I typically find the best deals and pricing, but I know our local little health food store carries both Erbaviva and Episencial and I *think* Buy Buy Baby now carries a lot of Episencial products. I think Whole Foods might as well, but I'm not 100% sure. I've been ordering online since we started using the products! I think that it is worth it. I think the best route http://www.realauravie.com is to try the introductory Heart & Seoul Collection (as pictured above).